A few months ago, Tesla announced plans that free, unlimited use of its Supercharging network would not apply to new owners. Aside from longtime and existing Tesla drivers, not everyone was happy about this. 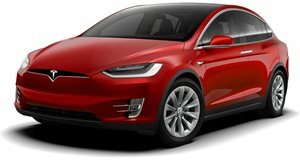 While the fee wasn't too expensive, the negative publicity the announcement generated appears to have persuaded Tesla to reverse its decision, at least somewhat. The EV carmaker will now once again offer that free and unlimited Supercharger access, but to new Model S and Model X owners only. Model 3 owners will need to pay. However, there are a few catches for those first-time owners. First off, they’ll need to buy that first Model S or Model X with an existing owner’s referral code. Existing owners can give out free charging to five other buyers. If buyers don’t receive the referral code, they’ll have to go with pay-per-use Supercharging. 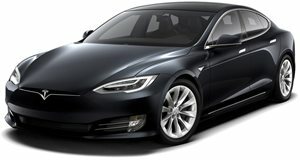 That referral code also has a $1,000 discount off the price of a new Tesla, so it's very beneficial to have a Tesla owner friend. But what about people who bought a new Model S or Model X during that four-month period when Tesla initially ended free Supercharging? Tesla will retroactively credit those vehicles with free Supercharging because it’s the right and smart business thing to do. So, it seems only those eventual Model 3 owners won’t benefit from free Supercharging. In fact, their situation hasn’t changed.